Here's a funny infographic I came across and Visual.ly. If you ever wondered why she didn't text you back, your answer might be here. And ladies, it SERIOUSLY doesn't need to be this complicated. Should I Text Him? 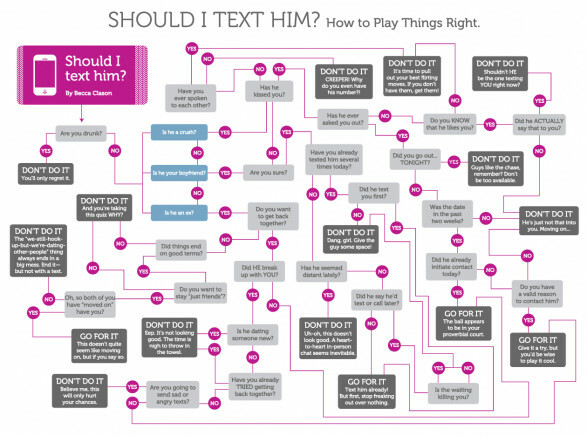 Flowchart infographic by beccaclason. How Do You Get the Ideal Woman?